VersaLaser functions like a true plug and play computer peripheral. It has a friendly, materials-based print driver that eliminates complex power, speed and materials calculations. Affordable, easy to use and easy to install, VersaLaser is a great first step to expanding into the laser market. 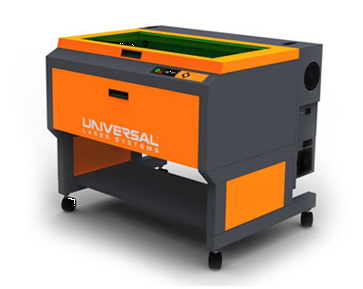 VersaLaser™ can transform images or drawings on your computer screen into real items made out of an amazing variety of materials… wood, plastic, fabric, paper, glass, leather, stone, ceramic, rubber… and it’s as easy to use as your printer. Materials: Most metals, some plastics. When configured with a 1.06 micron pre-aligned interchangeable fiber laser, the PLS6MW fiber laser marking machine can mark most metals and some plastics.